Have you ever had to get to those RNAV-Z plates in the Terminal pane? Navigate to the Terminal page for your desired airport. 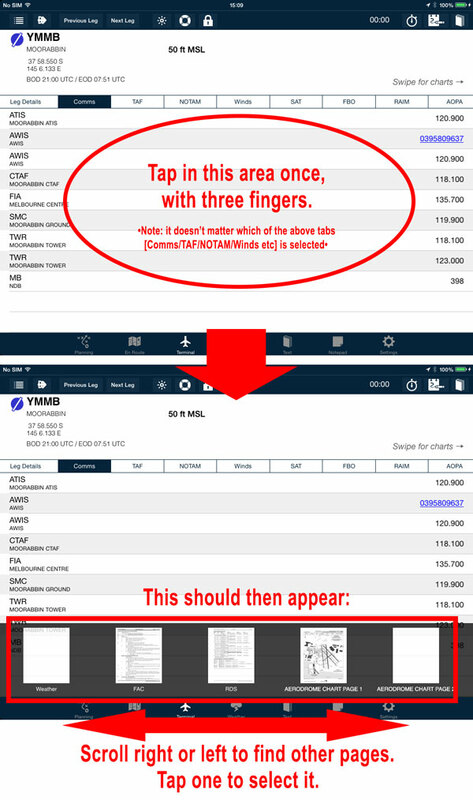 Tap the screen one single time with three fingers – a dark bar should appear at the bottom of the screen. Along this bar will be thumbnails of the available pages, which can be easily swiped left or right. Tap on a thumbnail to select it. If you wish to dismiss the shortcut bar without selecting a page, simply tap the screen once more with three fingers.